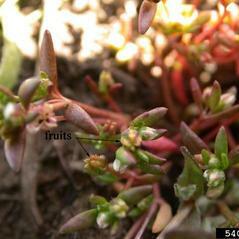 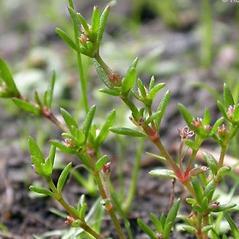 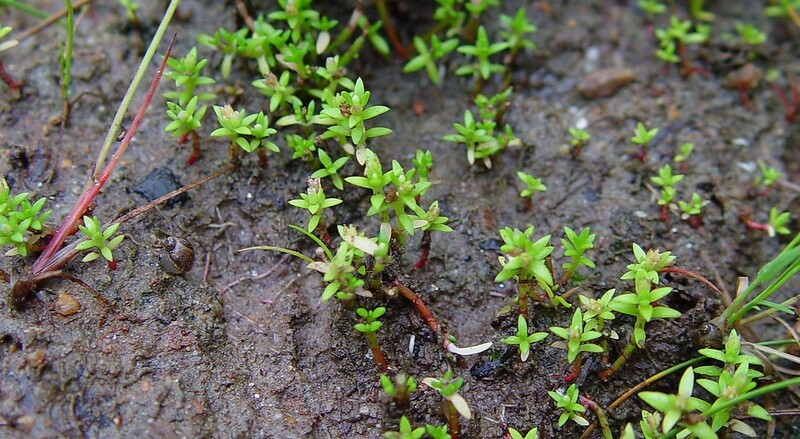 Pygmy-weed is widely distributed across Eurasia and North America. 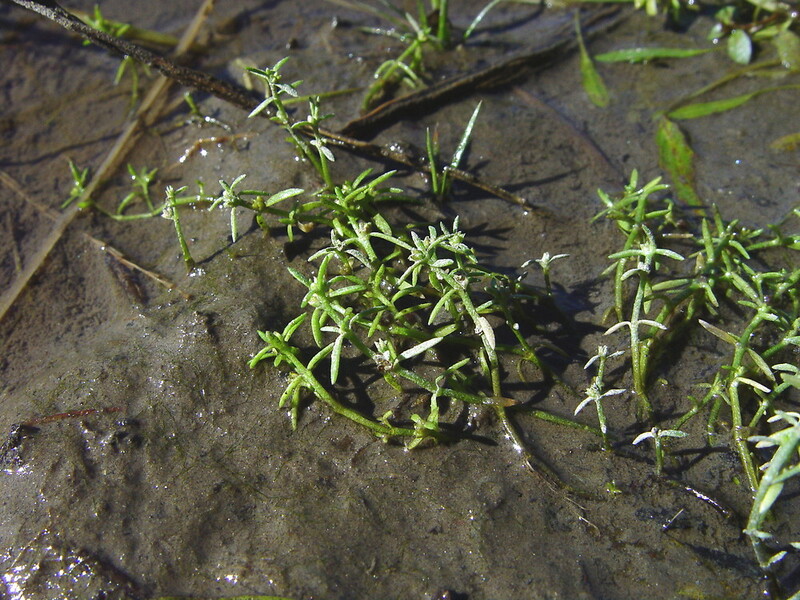 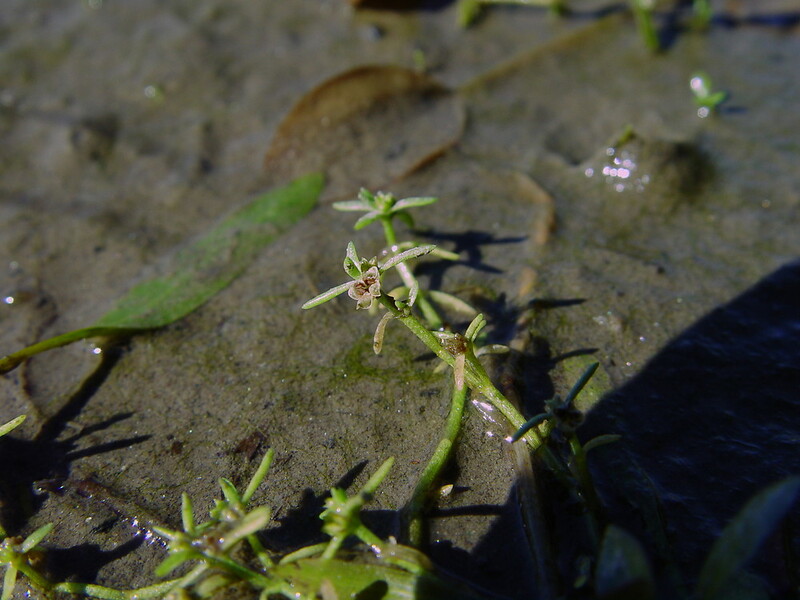 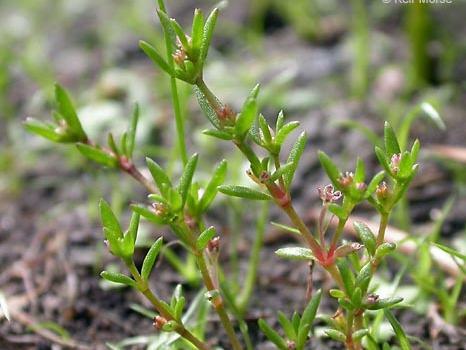 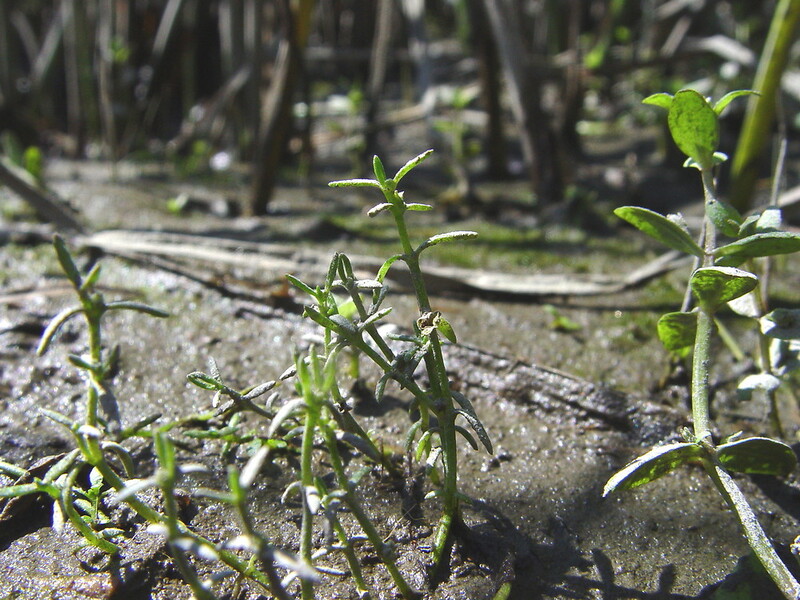 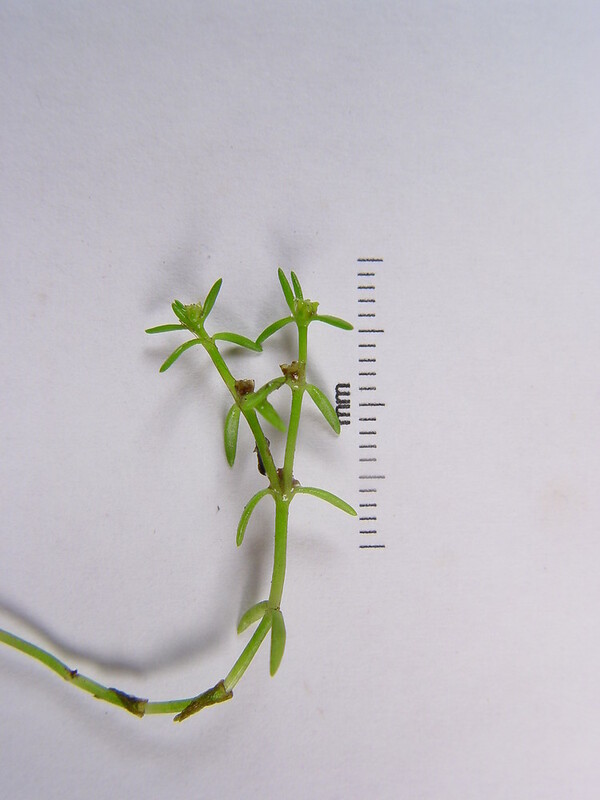 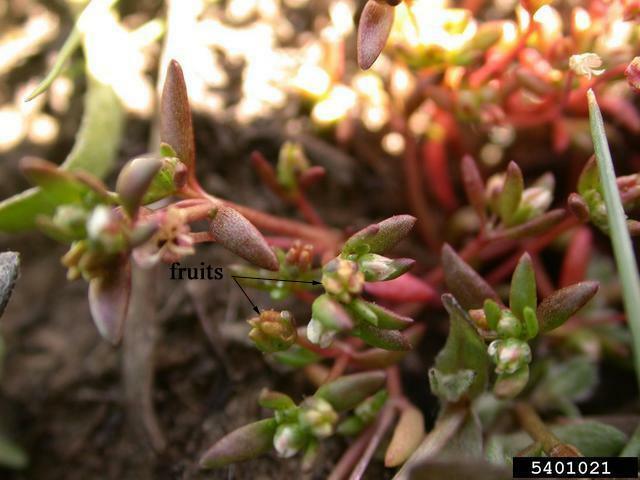 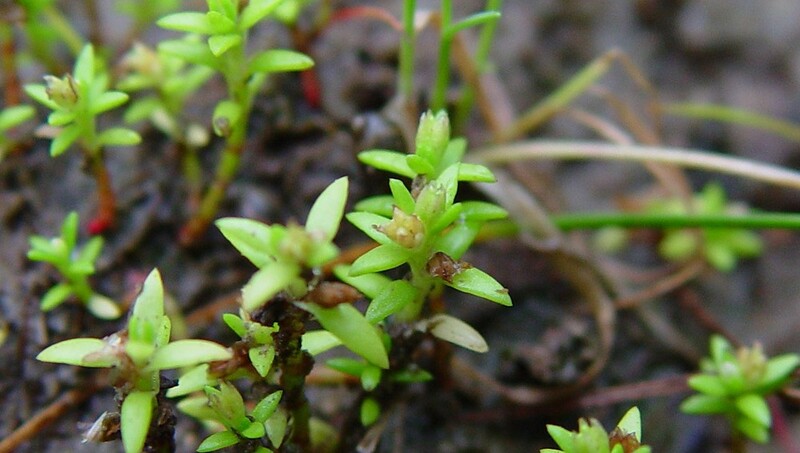 As the name suggests, this is a very small plant, usually found on open shorelines of fresh or brackish tidal rivers, rarely on ponds. 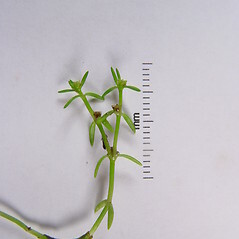 fruit a capsule opening by usually 3 valves and leaf blades usually rounded at the apex, not connate at the base (vs. fruit a follicle and leaf blades +/- pointed at the apex, connate at the base around the stem). 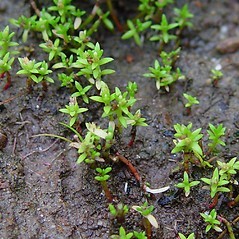 pygmy-weed. 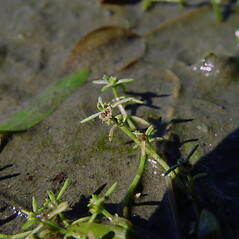 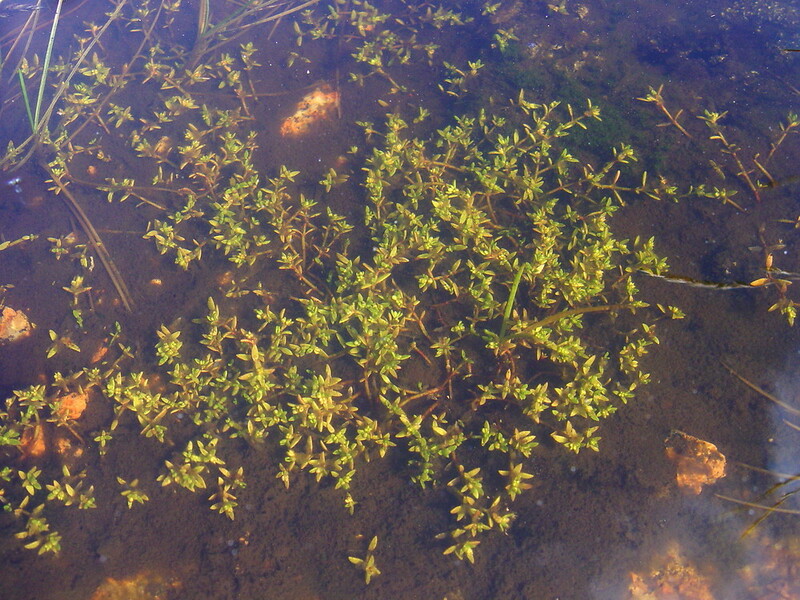 Bulliarda aquatica (L.) DC. 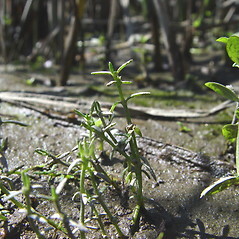 ; Hydrophila aquatica (L.) House; Tillaea angustifolia Nutt. 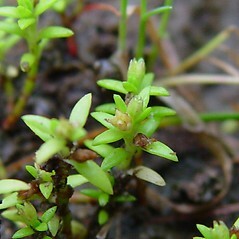 ; T. aquatica L.; Tillaeastrum aquaticum (L.) Britt. 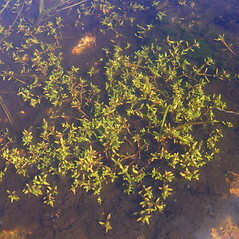 • CT, MA, ME, NH, VT. Open, often muddy, shorelines, these typically brackish-tidal rivers and large, non-tidal rivers, but rarely of pond shores as well. 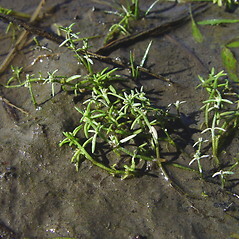 This species was reported from RI by Kartesz (1999), based on George (1992); however, George (1999) stated it could be in RI and was unaware of any collections.